more polluted than the air outside. 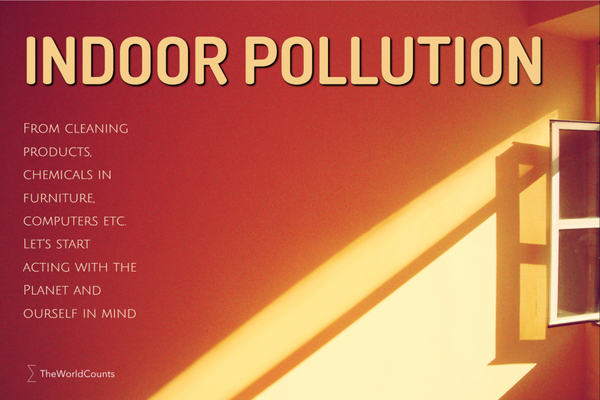 The cause of indoor air pollution can be chemicals seeping out of building materials, furniture, office equipment etc. Up to 350 toxic chemicals are off gazing from our products. Bad chemicals are seeping out of building materials, furniture, office equipment, carpet, paints etc. Office air contains as many as 350 chemicals emitted by materials, furnishings, and office machines. You can use green cleaning products, paint with paints that are free of toxic chemicals, and in general use products that are made with the environment and YOU in mind. In western countries we spend about 90 percent of our time indoors. BusinessWeek: Is Your Office Killing You? Interested in more facts like the time spent indoors? Then plug in and subscribe to our newsletter.